Aluminum fishing boat sales have outperformed the overall market and overshadowed their fiberglass counterparts since 2008, when the industry — and the economy — took a dive. The endurance of aluminum fishing boat sales through the downturn proved the segment is more insulated than others from fluctuations in the economy, politics and consumer confidence, some say. The distribution model is a factor in the brands’ success, as is the “strong connection Bass Pro Shops has with families who enjoy the outdoors,” Bowen says. The No. 1 buying source of information for customers, whether they buy from dealers or through the stores, is the Bass Pro Shops catalog, he says. Directly after the downturn, aluminum fishing boats bottomed out faster than most other segments. Data from Florida-based Info-Link show that in December 2008, 59,025 units were sold on a 12-month year-over-year basis, dropping 15.5 percent from 2007. The following year saw the biggest drop — 23.1 percent, to 45,395 units — before the segment bottomed out in 2010 with 44,660 boats sold. Although sales have been fairly steady after the initial recession-induced drop-off, the market’s performance is “not the same story as pontoon by any stretch of the imagination,” says Peter Houseworth, director of client services for Info-Link. Data show the market was up 3 percent in 2012 from 2011. At the same time, the pontoon market has continued to climb. “I just don’t think there’s demand for a ton of innovation on aluminum fishing boats, whereas the innovation that’s gone on in pontoons has created a lot of excitement,” says SteveTadd, director of marketing at Nautic Global Group, which builds aluminum fishing and pontoon boats and fiberglass sterndrive and outboard models. 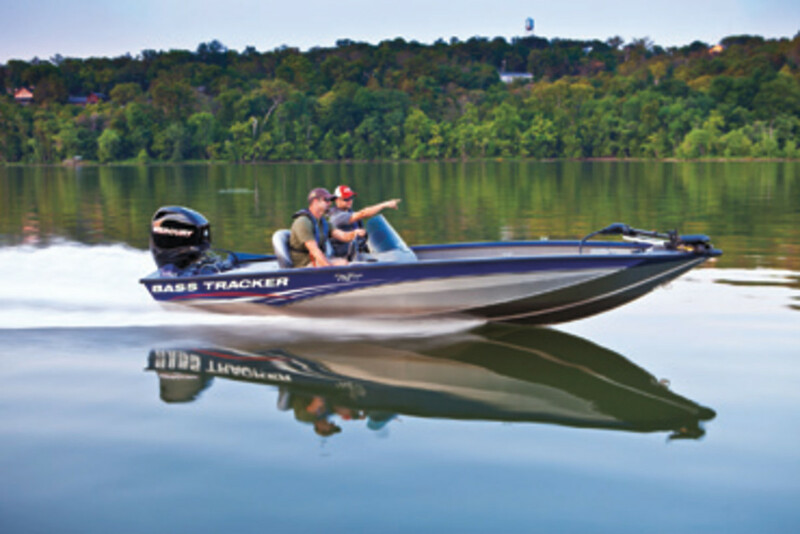 Brunswick CEO Dustan McCoy told investors during a fourth-quarter earnings call that the brand was bringing a lot of revenue dollars per boat. “They’re very popular for people who are serious fishermen,” McCoy said. Numbers from Statistical Surveys Inc., a Michigan company that also tracks boat sales, showed that the only category to post a gain in February this year over last was aluminum pontoons, where sales rose 10.6 percent, to 636. At the same time, aluminum fishing boat sales for the month fell 19 percent, to 1,197. Tadd attributes the drop in part to a lag in consumer confidence during the debate in Congress over the sequester, which ultimately occurred.